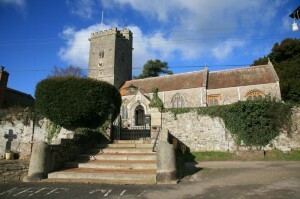 St Mary the Virgin is an ancient church standing in the centre of the village. The building may be ancient but the people of the church certainly aren’t! Our church is a community of people who are committed to serving the village, to working with other church communities in the Otter Vale Mission Community (of which it is a part) and sharing the message of God’s love for all in as many ways as we possibly can. We are a warm and welcoming community offering a range of services to meet the needs of our community. Services are listed below, and in addition we have a Bible study group which meets on the 2nd Tuesday of each month and an Emmaus Group. Payhembury C of E Primary School hold their weekly service in church on Thursdays at 9.15am: this service is open to all the community as well. In addition there are occasional services and activities at special and significant times, and we are always adding to our activities and suggestions are always welcome. 5th Service of the month, joint service with Feniton and Escot see notices for information. We meet together at 8pm at Tuck Mill Cottage, Payhembury. We are currently a small group of ladies (at the moment!!) who meet fortnightly, taking the opportunity to discuss topical issues from a Christian perspective. We are about to begin a new course entitled ‘The Wisdom House’ which will include sessions on topics such as fulfilling your dreams, friendships, forgiveness, the story of the prodigal son and finding contentment. It involves a short DVD clip followed by points for discussion over a cup of tea or coffee! It is a very relaxed and informal time together, but hopefully an environment in which we can support and encourage one another too. Meets every other week at 9.15am at Cherrybrook. This is another home group style group, very similar to Monday evenings group and some folk do go to both. Everyone is welcome to join us for an informal time of fellowship, discussion and support. Baptisms usually take place during the All Ages Service and at other times on negotiation with Ottery St Mary Church Office.